Joel's Jottings: Indian Budget 2013-2014 - Is it Prudent? Indian Budget 2013-2014 - Is it Prudent? Among the opposition parties, BJP (Bharatiya Janata Party) is calling it 'dull and unimaginative’, left is calling it a 'lollipop budget with mere token-isms’, and the Mulayam-Mamta combine is calling it ‘anti-poor and anti-farmers.’ But, I disagree with all of them. I am in favour of the opinion of Congress itself, the party leading India’s coalition government, which says it has come out with a ‘prudent’ budget. And the rationale for my opinion is being attempted here below. India’s economic growth-rate has slowed down from a once wonderful 9% (for three years successively, during 2005-2008) to what is now around 5% this year (2012-2013). If the growth rate decreases further, it could make global rating agencies to downgrade India’s sovereign rating. And, that would be disastrous for the Indian economy which aims to raise itself up to 8% growth-rate again. Here, we must note that the slack in the growth-rate is due to a global financial crisis, and very little can be blamed on the government in power. With India needing $75bn in annual inflows, to fund its huge trade deficit, foreign investments are critical. And the investments largely depend on how India is rated. So, ‘reigniting foreign confidence in India’ is clearly the key aim of India’s Finance Minister. And I believe this budget can do just that. I see a 'practicality' of this budget which, I feel, is bound to satisfy the global observers. In fact, I was glad to read on Wall Street Journal's website by Thursday night itself, that the rating agency S&P (Standard and Poor) has also called the Indian Budget 2013-2014 as 'relatively prudent'. Even Fitch Ratings said in its statement, after that Indian Budget was announced, that this budget was ‘not a populist budget’ as many expected. Yet another global ratings agency, Moody’s, called the budget ‘realistic’ and ‘positive for sovereign ratings,’ and said it is just the right budget, to meet the fiscal deficit target of the country. We must understand, however, that ratings agencies do not base their ratings on a budget announcement alone. But their opinions certainly matter; especially because they had, very recently, threatened a downgrade of India's sovereign rating. 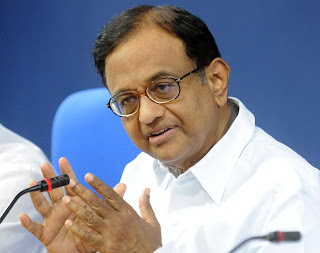 When it comes to expenditure, in the budget, Chidambaram slashed Plan-expenditure by nearly 18 per cent and raised non-Plan expenditure by around 16 per cent rise. With increased outlays on education, agriculture, and rural development, apart from earmarking amounts for food security bill, he has shown government’s ambition and seriousness towards commitment to growth. When it comes to revenue, he projected a 19% increase in Tax revenue alone. This, many analysts feel, is very unlikely considering the slowness in the economy. Agreeing with the analysts, I feel here, that Chidambaram is a bit over-optimistic. But, it is not completely impractical. Tax revenues have been increasing, and can increase further if government pulls up its socks and goes collecting. I feel it is a shame that in a country of 1.2 billion, with huge affluent society, only 42,800 people admit to incomes of over Rs. 1 crore a year, and pay the corresponding taxes. This must be addressed. But, when you look at the big picture, it is a budget that seems prudent and practical. It is ambitious and action-oriented. With the Economic Survey, released on Wednesday, projecting 6.1% - 6.7% growth rate for 2013-14, and with the Indian Budget, released on Thursday, showing new tax revenues and increased expenditure, I believe the budget is relatively a go-getting one. It is not at all terrible like how the opposition is making it sound. Of course, I agree with the opposition that subsidies must be reduced, and fiscal deficit must be curtailed. And I wish to tell them, this budget can do it. Overall, I feel it is the right one, for India at this time. In the middle of a crisis, I believe that the Finance Minister surprised everyone who expected a soft election budget. All were thinking that he will satisfy the masses, with his eyes on 2014 elections. But the fact that the super-rich will be taxed more, and the fact that SUVs, imported cars, mobile phones, and eating out will cost more, shows that this is a very pragmatic budget, not aimed at appeasing any particular section, only to garner votes for the ruling party. The opposition should understand, before criticizing, that out of all the large countries of the world, only China and Indonesia are seen growing faster than India in 2012-13. Also, in 2013-14, only China is projected to grow faster than India. So, there's nothing to worry. India has some very smart economists. And, yes, in case people do not know, Chidambaram has an MBA from Harvard.